Please check back in soon for new programming! This interactive conference at Los Angeles City Hall, Bradley Tower room, discussed parking reform options to boost transit neighborhoods. The event was co-sponsored by Councilmember Jose Huizar and TransitCenter and launched the report Wasted Spaces: Options to Reform Parking Policy in Los Angeles, which contains specific policy ideas for local policy makers on parking reform. It featured a keynote by Seleta Reynolds, General Manager, Los Angeles Department of Transportation and a panel discussion. More details and agenda here. This event covers near-term opportunities and challenges for sustainability policies and programs and features a keynote by Ken Alex, senior adviser to Governor Brown and director of the Governor’s Office of Planning and Research. Learn about the event. Download the event flyer. 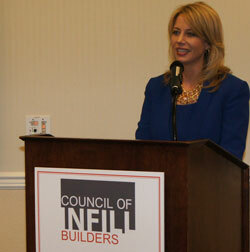 The Council of Infill Builders held an evening dinner reception with a keynote by Fresno Mayor Ashley Swearengin to discuss market solutions to revitalizing Valley cities and increasing demand for infill development. Download the event program. Staff members from the Council of Infill Builders are working with the Governor’s Office of Planning and Research (OPR) to develop a model infill planning template for the 2015 update to the general plan guidelines. This template will provide “one-stop shopping” for cities and counties looking to develop the most cutting-edge plans for more infill development in their downtown areas. More information on the process can be found on the OPR website. Local government finance and real estate expert Joe Minicozzi will return to the Valley in 2013 for a Five City Tour, touting the benefits of encouraging development of our downtowns. Joe’s work illustrates the financial benefits of revamping existing buildings and revitalizing downtowns with appropriate mixed-use development. Stay tuned for more information on this upcoming tour! For more details, please read the Valuing Downtowns the brochure. As Valley leaders implement a new regional planning process that could shape transportation and real estate development in the area for years to come, an assessment of the data on forecasted housing trends will be crucial to smart decision-making now. The Council of Infill Builders offered a webinar on May 7, 2013 with Dr. Arthur C. Nelson of the Metropolitan Research Center at the University of Utah on his recent report, “A Home for Everyone: San Joaquin Valley Housing Preferences and Opportunities to 2050.” Dr. Nelson will discuss the key findings and answer audience questions. For more details, please download Dr. Nelson’s Presentation. 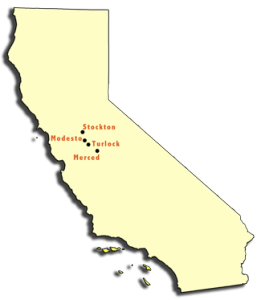 The California Air Resources Board (CARB) held a meeting on January 24, 2013 in Bakersfield to gather input on the Valley’s implementation of SB 375 (Steinberg, 2008), state law to coordinate regional land use and transportation planning to reduce greenhouse gas emissions. Council of Infill Builders Board President Curt Johansen provided critical testimony at this hearing, representing the builder perspective. He discussed “A Home for Everyone,” the report on San Joaquin Valley housing trends that the Builders released the day before. Air Resources Board staff referenced the study in their report to the board members, including the finding that most new homes in the Valley should be attached and small lot to meet demand. The Builders look forward to working with the Air Resources Board as the agency continues to implement SB 375 in the Valley. 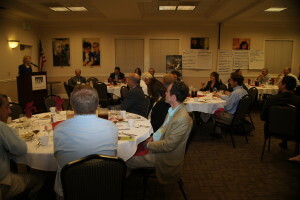 In partnership with the Local Government Commission and Resource Media, the Council of Infill Builders co-sponsored a multi-city tour to spark discussion about the “Dollars and Good Sense” of developing in downtowns. The tour featured presentations by Joe Minicozzi, who has garnered national attention for a study he first undertook in his hometown of Asheville, North Carolina, in which he compared the revenue generated by various types of development. His work illustrates the financial benefits of revamping existing buildings and revitalizing downtowns with appropriate mixed-use development.